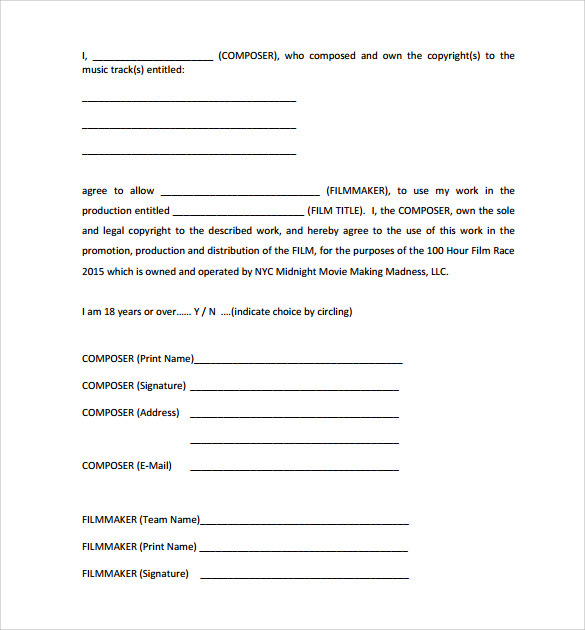 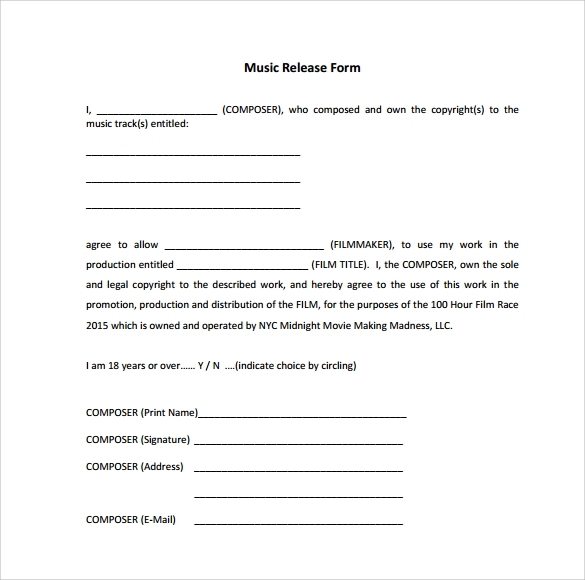 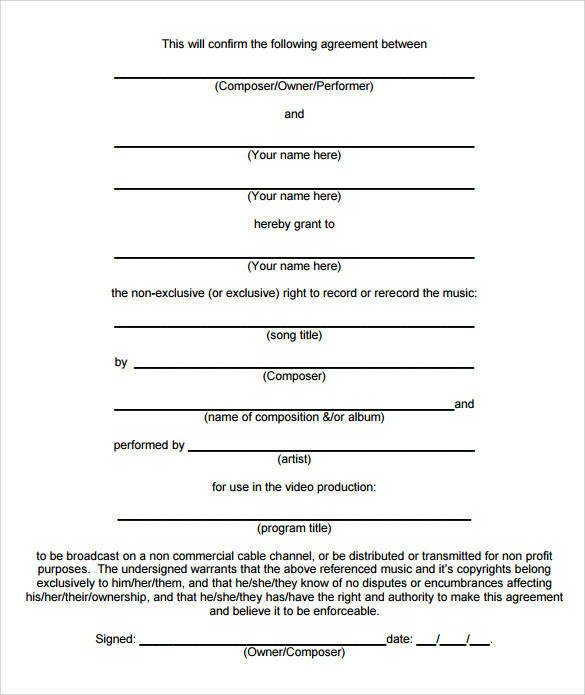 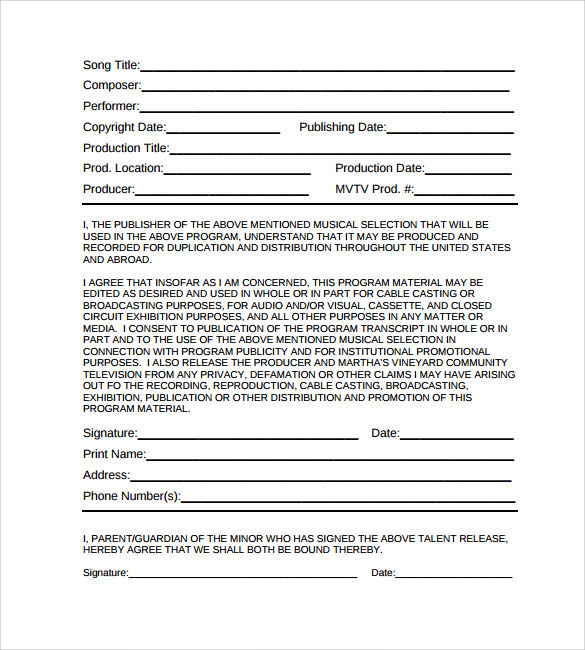 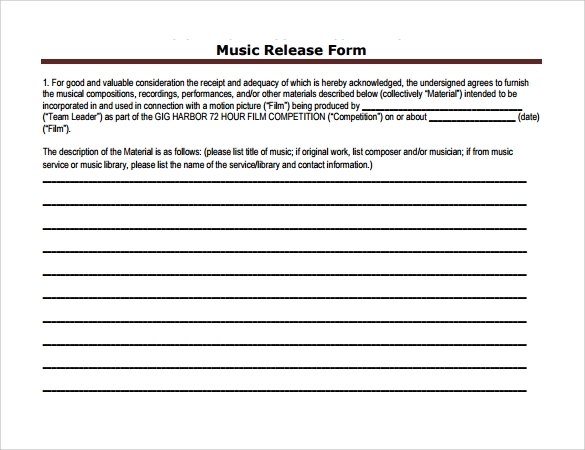 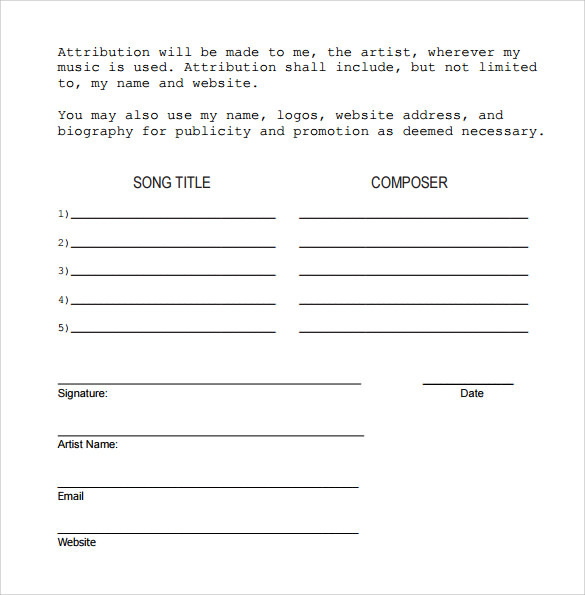 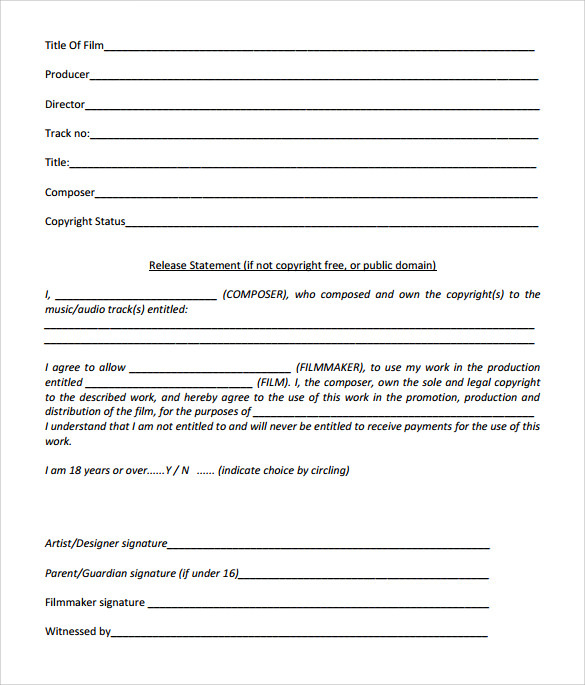 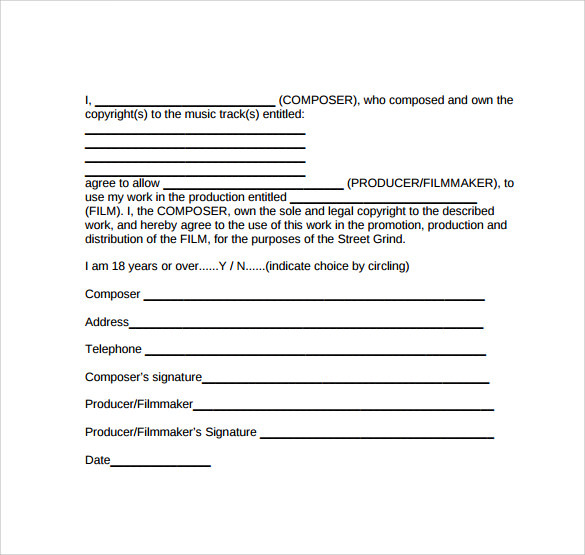 Through the music release form the music composer agrees to provide the music composed by him to be used in the film or other form of motion picture produced by a production house. 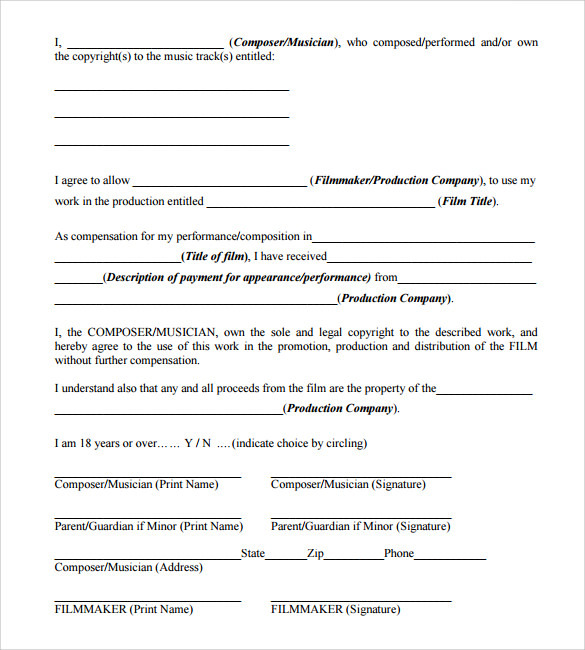 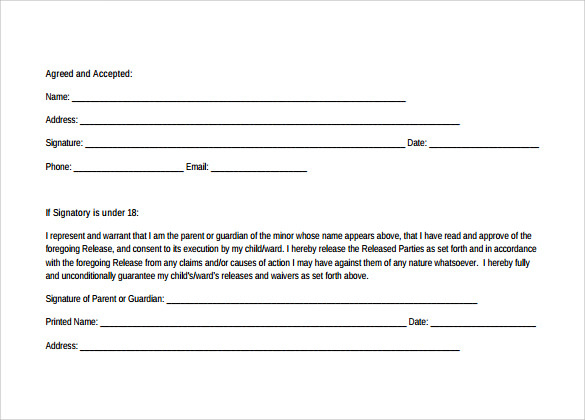 This is a Video Release Forms of agreement between the producer or his legal representative and the music composer.where by the later person gives full authority to the producer to use his music in the film and also to use it for promotion of the film. 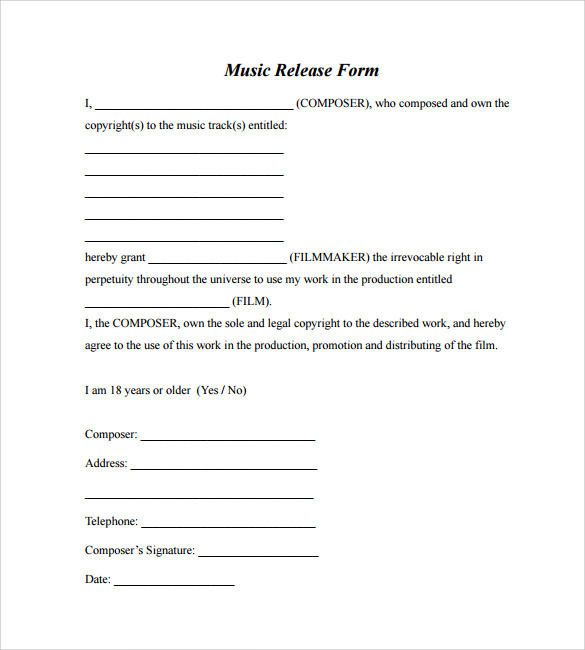 The name of the music composer, the name of the producer, the title of the music and the title of the film should come in proper order along with the signature of the composer.